In honour of our fashion episode for Charlotte Smith's One Enchanted Evening, we have chosen a quote from style-icon Joan Didion because few people have managed to marry fashion, food and literature so well. 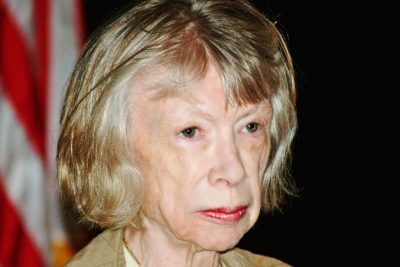 Didion was an author of both literature and cookbooks, and kick-started her writing career on the pages of Vogue. She experienced great sadness in her life, losing both her husband and her daughter, the latter dying at just 39 year’s of age, but she never lost her connection with fashion and words. The quote we have chosen comes from her novel The Year of Thinking Magically, when Didion muses on the power of food to comfort and console. Hopefully you've chewed through all those novels gifted at Christmas and are ready to jump into the 2019 reading year. As the saying goes, there's no rest for the wicked! 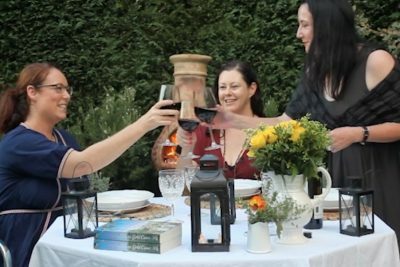 Word of Mouth TV has three new book and three new cookbook recommendations which will surely take you through to the next episode in March. 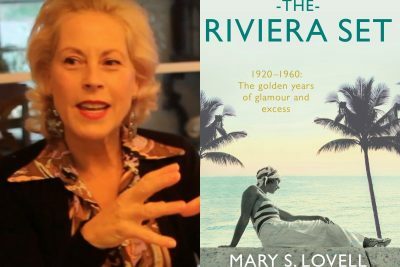 Guest author Charlotte Smith, a fashion anthropologist, recommends The Riviera Set - a portrait of high society between 1920 and 1960 and the authors who partied with them. And her cookbook recommendation is equally glamorous. Kate and Sarah serve up their favourites as well. Happy reading! 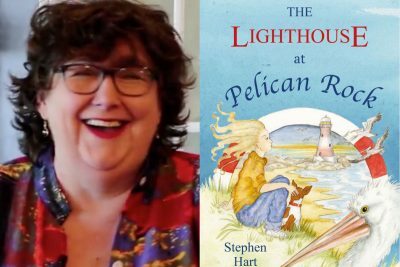 Thanks to publisher Affirm Press, and authors Charlotte Smith, Kate Forsyth and S.L. Mills, Word of Mouth TV has two more book packs to give away this week to kick of what promises to be an absolutely fabulous 2019. Charlotte Smith's One Enchanted Evening leads this episode's oeuvre. It is a book for fashionistas and story lovers everywhere. Charlotte points out that every piece of fashion has its own story, as do so many of the beautiful items we collect in our lives. Each dress from Charlotte's extensive collection was chosen for its story, and we hope you enjoy the beautiful illustrations as well. Charlotte Smith lives in the Blue Mountains, which is famous for the high tea served at the stunning art-deco hotel The Hydro Majestic. So we thought a high tea would be the perfect accompaniment to an episode focused on fashion, and to honour Charlotte's British heritage. These fluffy English scones accompanied classic cucumber sandwiches (Kate charmed the recipe out of the chef at the Ashmolean Museum in Oxford) and chicken, rocket and mayonnaise sandwiches. 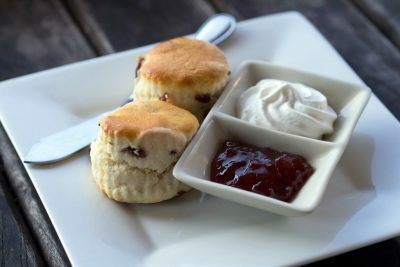 These fluffy English style scones are light and rise like the sun! Enjoy! Some might argue that Charlotte Smith is one of the luckiest women on earth. 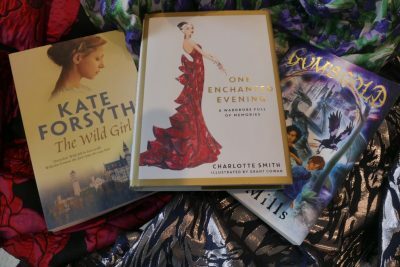 Bequeathed the world's largest vintage haute couture fashion collection by her Quaker aunt, she has written a delightfully illustrated book One Enchanted Evening that celebrates some of these gorgeous dresses. In a nod to Charlotte's British heritage we served a beautiful high tea - and then went to check out the fashion. We had so much fun, we hope you do too! Josephine Moon prefers gluten-free and dairy free dining - which is a bit of a challenge when dining Italian. 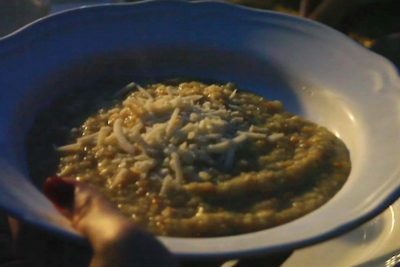 So we settled on this simple, elegant and oh-so satisfying Tuscan Bean Soup, with Parmesan cheese on the side. This is perfect dining in warm Autumnal weather. Pair it with a delicious glass of wine, good company and a beautiful table-setting and you will be transported to the golden, rolling hills of Italy. It's so easy to prepare, it's become a staple on our repertoire of soups. Crime, drama, historical fiction - the choice is yours from the Josephine Moon episode's round of recommended books. Suspense and ambiguity set the tone for all three picks. 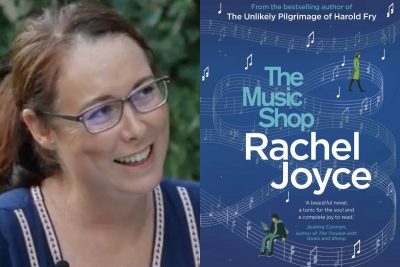 Josephine kicks off with The Music Shop, a novel by Rachel Joyce, set in Margaret Thatcher's dystopian England. 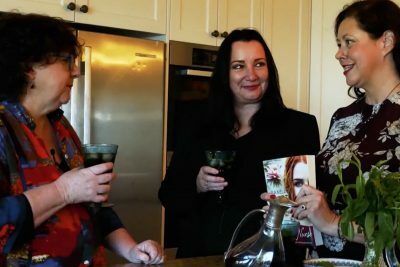 From there, the Word of Mouth TV foodies roll out a luscious, mouth-watering round of cookbooks. The predominant theme is Italy, which is appropriate given the Tuscan setting of Three Gold Coins. Let us know your thoughts. Josephine Moon reveals herself as something of a foodie in our author Q&A. Not only does food play a central role in all of her novels but at home as well, where she lives on acreage with her family and horses. She also gives us a sneak peak into her next novel, to be published in March, which is themed around coffee (for coffee addicts everywhere! ), and shares some of her mother's tips on how to make the perfect potato salad. We'll be incorporating these tips into our Christmas repertoire this year for sure.